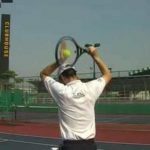 © 2019 Tennis – All you need to turn into a Tennis Champ. 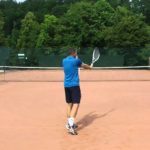 The second step of the tennis serve deals with the upper body. Specifically, the toss and the backswing. Tossing the tennis ball is extremely important when trying to hit a tennis serve. If you can't place the toss consistently, your serve won't be consistent. 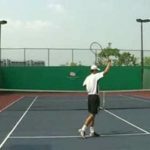 The backswing gets your tennis racket and hitting arm to the "L" position, which allows your arm to swing correctly later in your tennis serve. You want to time the toss and backswing so that they complete at the same time. The way your arms move is sometimes called "down together, up together" because your arms move down as one piece and up as one piece. This should make timing your tennis serve easier. 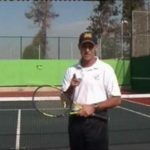 For more FREE tennis videos on the fundamentals of the tennis serve, as well as other shots, please visit http://www.fuzzyyellowballs.com !